Located on the shores along Lake Huron, Bayfield Ontario is a heritage community that was established in 1832. It is a favourite place for those looking for a respite from the life's challenges for a week or a weekend and for those in search of a more permanent way to enjoy life at its best. Whether you are looking to cozy up to a warm fireplace in Winter or seeking to rejuvenate along Flag Beach throughout the Summer, Bayfield Ontario offers a resort-style way of live. 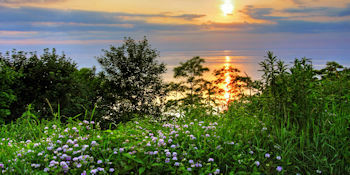 Bayfield Ontario is located about 60 miles North of London and a similar distance up the Lake Huron coast from Sarnia. It is conveniently located along Highway 21 at the Bayfield River. Here, you'll find boutique-style shopping, fine dining opportunities, and a vibrant community with an array of community events that binds residents and visitors alike. There are a variety of condos, apartment, homes, and cottages for sale in Bayfield Ontario. Huron County and Bayfield Ontario offer a wide range of properties for sale including stately million dollar homes to cozy lakeside cottages. In spite of this being such a desired location, the Bayfield Ontario and Huron County region is one of the more affordable places to live in Ontario. Homes, utilities, and even auto insurance are more affordable here. In fact, housing and living costs in the area are about 25% lower than the rest of Canada. Before dismissing your ability to purchase a home in the Bayfield Ontario area, consider that single-family homes and condos can be found for here starting at under $200,000. This can make it an affordable place to call home or as a seasonal or investment property. If you are in search of resort-style living, take a closer look at houses for sale in Bayfield Ontario. Homes are available near Main Street where everything is within walking distance. Take a stroll for a glass of wine or a unique meal. Shop at inviting art galleries or partake in a number of annual events. 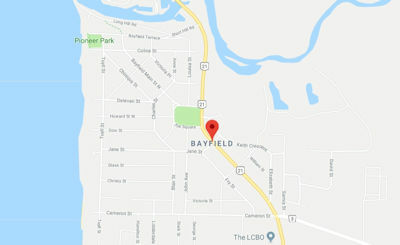 Annual events include the Bayfield Fair in August and Christmas in Bayfield which includes the Christmas parade and the lighting of the trees in Clan Gregor Square. Other events that bring the community together include the Fireman's Breakfast, Pioneer Park 5K Run, the Santa Run, Halloween Witches Walk, and more. Interestingly enough, Bayfield has the largest croquet club in North America. Get in touch with Team Forster today to learn more about Homes for sale in the Bayfield Ontario market and to request a showing now! Give us a call at 519-851-2844 to speak to a Bayfield Ontario real estate agent today. Listing courtesy of ROYAL LEPAGE HEARTLAND REALTY (BAYFIELD), BROKERAGE. Listing courtesy of ROYAL LEPAGE RCR REALTY (BRUSSELS).